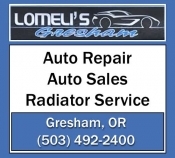 About 12 years ago, David and I found ourselves on our way to photograph THE 1958 Impala from the movie American Graffiti. Once we arrived at the owner's home, David began clicking away with his camera, capturing the history of this iconic vehicle. Of course, we were full of questions and we listened carefully to Mike's story of how he purchased the car at the age of 17, for the unheard of price of $285 (after borrowing $10 from his Dad, because he only had $275). You know, one of those "Are you kidding me?" stories. The dents Toad left in the rear trim of the ’58 when he backed into another car are still there. There was only one 1958 Chevy Impala, used to film American Graffiti, this is it. 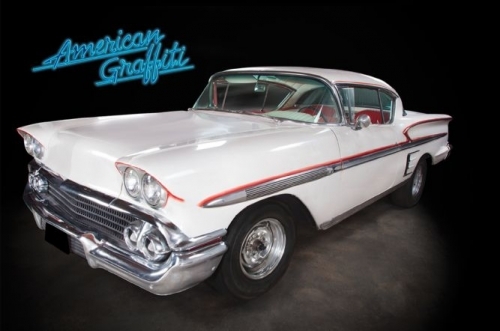 The provenance is all there and Profiles in History estimates the American Graffiti 1958 Chevrolet Impala identified as Lot 1531 will cross the block between $800,000 - $1,200,000. The auction takes place in Calabasas, California as part of the Profiles in History/Hollywood Auction 74 from September 29th-October 1st and the Impala is scheduled to be auctioned on Thursday, October 1st.